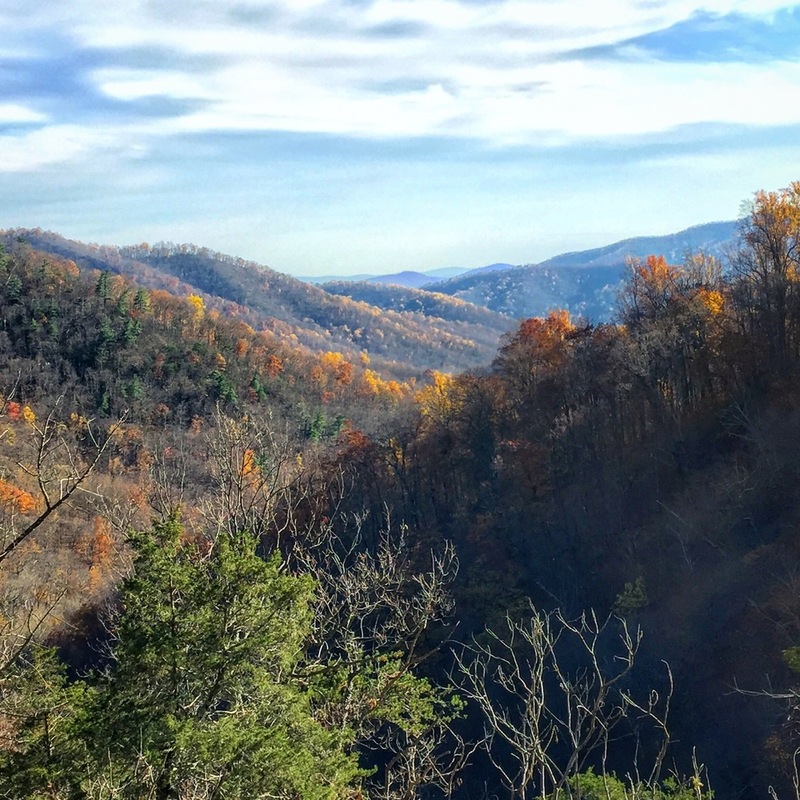 Last weekend we visited Shenandoah mountains to discover two genuine places in the nature. It's a crowded place to visit, specially during the weekend, but a walk through these caverns is totally worth it. Caverns always impress us, it's like being in a different world. A natural amusement park. The endless-universal landscape that the thin pillars of rock formed as reflect on the water and impressed us. Red, brown and white mixed with a dark background. After the 1 hour visit, we took our time at the shop admiring rock slabs all over the world, even blue or pink ones from Brazil!. After the visit we drove 1 hour to find the Berry Hollow fire road parking lot. We hiked upward 10 minutes through the woods and camped close to a creek - we tend to camp whenever we feel like, usually close to water. We had been camping in this place before and to find the same spot during night was tricky but we got it. It had rained, all the woods were wet and we couldn't make any fire. We gave up lighted up our stove. Awesome pasta with sausages is the last memory we have from this day. Early in the morning we woke up in the valley with the sound of a bird. It was late autumn. Almost all leaves had gone, the landscape was calm and clear a. We hit our bagels and made tea and warmed up our bodies walking around the hills looking for cool shapes and colors in the nature. We headed to the White Oak Canyon hike in the Shenandoah National Park, which has spectacular waterfalls, cascades and pools. First we walked to Weakly Hollow road to its intersection with the Robinson river, where we found a parking area and the ranger station. There is a $10 entrance fee per person. We began the blue-blazed trail on the right side, shortly crossing two steel footbridges, following the river upward. It's a pleasant 1 mile hike to the first set of major falls, a wonderful place to take a rest and enjoy the fresh water in the rocky river. The trail becomes steeper with several switchbacks and lots of stone steps to a second set of falls. There are many rock walls around the canyon, even big boulders with climbing potential - that we couldn't resist trying. But the trail doesn't end here. More stone steps and switchbacks brought us to the third and biggest set of waterfalls, with the best views, perfect for having a snack while thinking about life. On our way back down we took a lot of pictures of the forested mountains painted by fall colors... delightful nature. What we did last weekend? Had fun in nature!